That '80s Run includes a scenic 5K route, chip-timed by Fleet Feet, a 1-mile fun run and a free Health and Wellness Expo on race day. 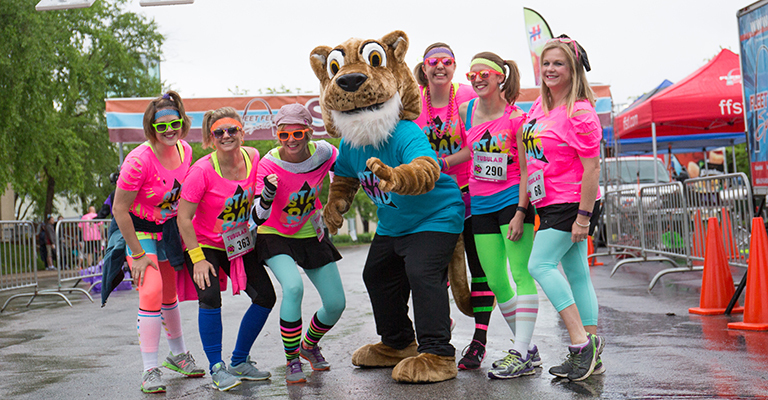 Dude, not only is That '80s Run a blast from the past, it also supports a bodacious cause. One hundred percent of event proceeds benefit health and wellness projects and scholarships at SCC. In 2006, the college's radical Run Committee began offering health and wellness grants, up to $1,000 per grant, for college wellness projects. Since 2006, the committee has funded 88 health and wellness grants totaling a gnarly $61,362.33!